The best things in life may not be free, but when you work with your friends at Kareem Auto Sales Inc, we can help you get more out of every day at a significant discount. The models on our lot are as affordable as they come! When you take advantage of our pre-owned vehicle specials, you can trade in your current car and bring home a dependable used car for an unbeatable price. These used car deals are proof that you don’t have to spring for a new vehicle in order to drive an efficient, powerful, and well-equipped model that will last for years to come. Free 30 Days /3,000 Limited Warranty !, **4 NEW TIRES**, 328i, 2D Coupe, 3.0L 6-Cylinder DOHC 24V, 6-Speed Automatic Steptronic, White Metallic, Tan, Navigation System. 328i RWD 6-Speed Automatic Steptronic 3.0L 6-Cylinder DOHC 24V28/18 Highway/City MPGAwards:* Car and Driver 10 Best Cars * JD Power APEAL Study * 2012 KBB.com Brand Image AwardsCar and Driver, January 2017.Thanks for looking , If you need more information such as additional Photo's or a copy of your Free Car Fax History Report we are here to help . You can email us www.Kareemautosales.com or come visit us at our easy to get to location in Sacramento CA.-All Vehicles come with FREE warranty (call dealer for details)-We offer great extended warranty on our vehicles-Free CarFax Report History-Check us out on Yelp! 4.5 Stars-275+ Vehicles to choose from-Financing for all types of credit-CUDL (Credit Union Direct Lending)-Great 1st time buyer program-All vehicles pass Smog & Safety Inspection and receive a fresh oil change-Our buyers have over 10+ years of buying experience-Business HoursMonday - Saturday: 10:00am 7:00pmSunday: 10:00am - 5:00pm-And As Always Promised... BEST DEALS IN TOWN! Free 30 Days /3,000 Limited Warranty !, One Owner Carfax, ** AWD **, **THIRD ROW SEATING**, Heated Leather Seat, Q7 3.0T Premium quattro, 3.0L TFSI V6 DOHC, 8-Speed Automatic with Tiptronic, quattro, Cobalt Blue Metallic. Clean CARFAX. 3.0T Premium quattro quattro 8-Speed Automatic with Tiptronic 3.0L TFSI V6 DOHCAwards:* ALG Best Residual Value * 2012 KBB.com Best Resale Value Awards * 2012 KBB.com Total Cost of Ownership AwardsThanks for looking , If you need more information such as additional Photo's or a copy of your Free Car Fax History Report we are here to help . You can email us www.Kareemautosales.com or come visit us at our easy to get to location in Sacramento CA.-All Vehicles come with FREE warranty (call dealer for details)-We offer great extended warranty on our vehicles-Free CarFax Report History-Check us out on Yelp! 4.5 Stars-275+ Vehicles to choose from-Financing for all types of credit-CUDL (Credit Union Direct Lending)-Great 1st time buyer program-All vehicles pass Smog & Safety Inspection and receive a fresh oil change-Our buyers have over 10+ years of buying experience-Business HoursMonday - Saturday: 10:00am 7:00pmSunday: 10:00am - 5:00pm-And As Always Promised... BEST DEALS IN TOWN! Free 30 Days /3,000 Limited Warranty !, allroad 2.0T Premium quattro, 4D Wagon, 2.0L 4-Cylinder TFSI DOHC, 8-Speed Automatic with Tiptronic, quattro, Black Leather. 2.0T Premium quattro quattro 8-Speed Automatic with Tiptronic 2.0L 4-Cylinder TFSI DOHC27/20 Highway/City MPGAwards:* JD Power APEAL StudyThanks for looking , If you need more information such as additional Photo's or a copy of your Free Car Fax History Report we are here to help . You can email us www.Kareemautosales.com or come visit us at our easy to get to location in Sacramento CA.-All Vehicles come with FREE warranty (call dealer for details)-We offer great extended warranty on our vehicles-Free CarFax Report History-Check us out on Yelp! 4.5 Stars-275+ Vehicles to choose from-Financing for all types of credit-CUDL (Credit Union Direct Lending)-Great 1st time buyer program-All vehicles pass Smog & Safety Inspection and receive a fresh oil change-Our buyers have over 10+ years of buying experience-Business HoursMonday - Saturday: 10:00am 7:00pmSunday: 10:00am - 5:00pm-And As Always Promised... BEST DEALS IN TOWN! Free 30 Days /3,000 Limited Warranty !, One Owner Carfax, 1500 Laramie, 4D Crew Cab, HEMI 5.7L V8 Multi Displacement VVT, 6-Speed Automatic, 4WD, Bright Silver Metallic, black Leather, Auto High Beam Headlamp Control, Convenience Group, Keyless Enter-N-Go, Navigation System, Radio data system, Rain Sensitive Windshield Wipers, Remote Proximity Keyless Entry. Clean CARFAX. Laramie 4WD 6-Speed Automatic HEMI 5.7L V8 Multi Displacement VVTAwards:* Motor Trend Truck of the Year * Ward's 10 Best Engines * NACTOY 2013 North American Truck of the YearThanks for looking , If you need more information such as additional Photo's or a copy of your Free Car Fax History Report we are here to help . You can email us www.Kareemautosales.com or come visit us at our easy to get to location in Sacramento CA.-All Vehicles come with FREE warranty (call dealer for details)-We offer great extended warranty on our vehicles-Free CarFax Report History-Check us out on Yelp! 4.5 Stars-275+ Vehicles to choose from-Financing for all types of credit-CUDL (Credit Union Direct Lending)-Great 1st time buyer program-All vehicles pass Smog & Safety Inspection and receive a fresh oil change-Our buyers have over 10+ years of buying experience-Business HoursMonday - Saturday: 10:00am 7:00pmSunday: 10:00am - 5:00pm-And As Always Promised... BEST DEALS IN TOWN! 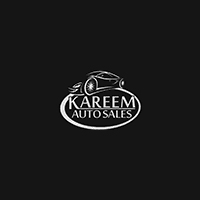 Why Choose Kareem Auto Sales Inc in Sacramento? With a variety of pre-owned vehicle specials, a number Certified Pre-owned vehicles in like-new condition, and gently used cars from a number of makes like Toyota and Honda, Kareem Auto Sales Inc is likely to have your dream car for a monthly car payment you can easily afford. Browse our inventory, find the used truck or used SUV you’ve been looking for, and use our online car payment calculator to get an idea of your auto payment. Have any questions? Reach out to our car finance department today!